If you find a wild baby squirrel exhibiting any of the following signs listed below, call Willowbrook Wildlife Center at 630-942-6200. Tree squirrels in DuPage County have two breeding seasons, one in winter and one in late spring or early summer. Females under two have one litter a year, and older females have two. Litters consist of two, three or four young, which are weaned within two months. Baby squirrels stay near the female until the next litter is born. 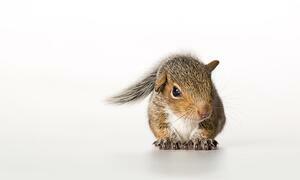 Occasionally, fox or gray squirrels' leaf nests are destroyed by storms, and the young fall to the ground. If there is no evidence of a leaf nest, look for a cavity-type nest. Try placing the baby squirrel in a box at the base of a tree, and see if the mother will retrieve it. If she does not or the young exhibits one of the signs that it needs help, bring it to Willowbrook. 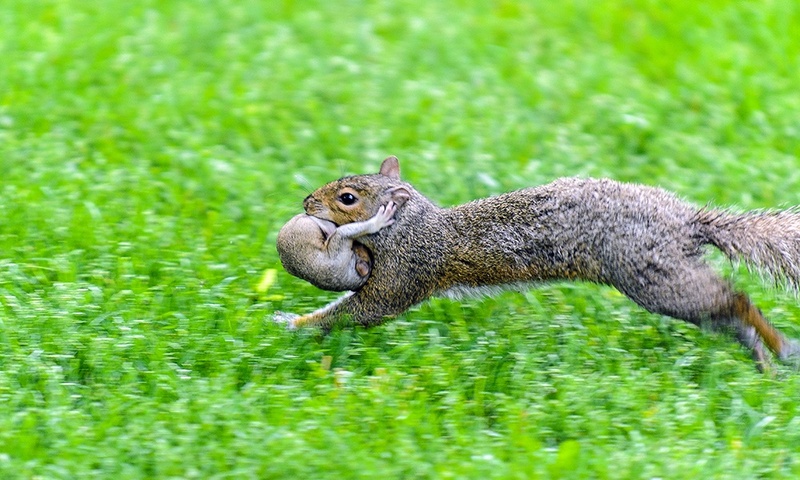 A baby squirrel found unattended should always be given a chance to reunite with its mother. Locate the original nest site and determine the path the mother would most likely travel to and from the nest. 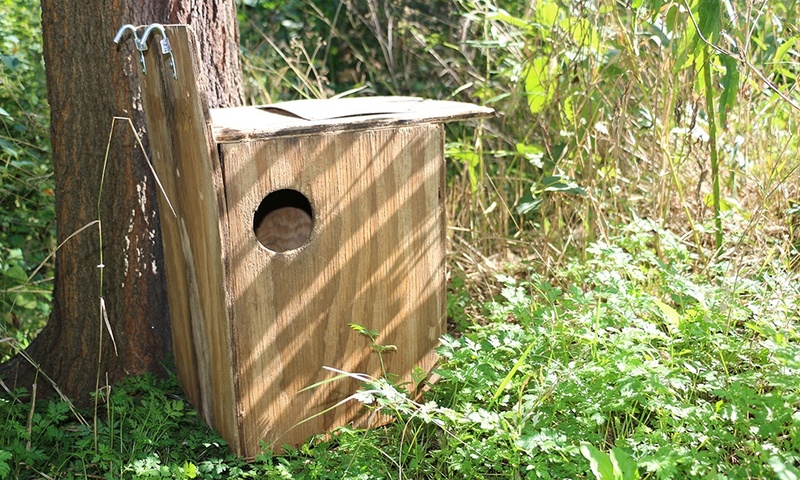 Willowbrook Wildlife Center loans out sturdy, wooden nest boxes, or you can make your own. A fully enclosed box with an entrance hole will serve the purpose. Place nesting materials such as grass or leaves in the box. 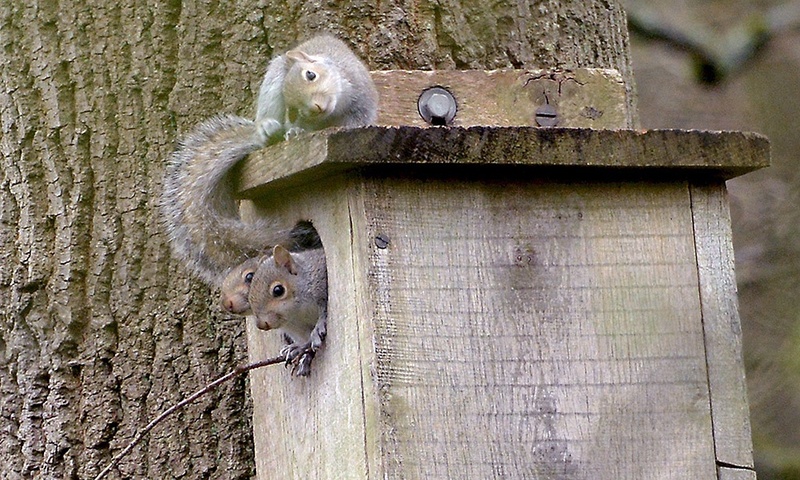 Leave the area and the baby squirrel in the nest box overnight. Do not disturb the nest box in any way for the amount of time designated by Willowbrook staff. Do not feed the baby; it needs to cry so mom can better locate it. Do not remove the baby from the nest box. Do not put food out for the mother, as this may attract predators. If you want to monitor the nest, do so from inside your house. Your presence in the area will prevent the mother from approaching the nest box. It also helps to keep activity around the box to a minimum. Keep children, pets or anything that might deter the mother from returning away from the nest box. Do not be alarmed if the baby disappears (or babies disappear, maybe one at a time). It may take the mother several days to relocate an entire litter. In some situations, the mother may use the nest box to raise her young. Check the box after the designated time period has passed. If mom has visited, the baby's belly will appear round and full from feeding. If the designated time period has passed and a baby is still in the box with a belly that appears to be empty, then it is time to return it to Willowbrook and consider alternative options. If you are unsure about how to check the baby squirrel's condition, please do not hesitate to call Willowbrook at 630-942-6200 for advice about how to proceed. If tree cutting has disrupted the original nest, place the nest box at the base of the tree. If the entire tree was removed, place the nest box on the trunk of a nearby tree. If the nest was removed from an attic or chimney, place the nest box at the base of the building. If the path to the original nest site is known, the nest box should be placed along that path. For example if the mother uses a nearby tree to gain access to the roof, the nest box should be placed at the base of that tree. If the nest was removed from under a deck or building, place the nest box on the ground nearby. Once the original den is destroyed, the baby's chance for survival is greatly diminished. Your attempt to reunite a baby with its mother gives it a second chance at survival, but it is not a guarantee. If a squirrel has already established a nest in or around the home, try the following deterrents — preferably two or three at the same time. Place flashlights, flood lamps, blinking holiday lights or a constantly noisy device such as a radio, alarm clock or toy in the den. Leave them on day and night — or at least at night to disturb the animal's sleep. Place ammonia-soaked rags in the den for one week. Re-soak the rags daily, and pack crumpled newspaper in the entrance to hold in the fumes. Never use ammonia between March and August, because it can harm infants too young to escape. If the nest is in a chimney — usually on the smoke shelf in the flue — lower a light into the chimney, and place a bowl of ammonia and a radio on the fireplace grate. Do not “smoke out” the animals. They can pass out, and you’ll have to physically remove them yourself. After a few days, pack crumpled newspaper into the entrance. If the squirrel is still there, it will pull the paper out. If the paper stays in place for a few days, repair any openings. Willowbrook treats injured, ill and orphaned native animals to DuPage County. We do not accept skunks, bats, deer, beavers or trapped nuisance animals. We do not accept nonnative animals, including European starlings, house sparrows and rock pigeons. We also do not accept native mammals and birds raised as pets, as efforts to reverse any taming or imprinting are unsuccessful. Willowbrook may have species-specific admission criteria. In the case where an animal does not meet that criteria and is unable to be treated at the center, we will work to help rescuers find other licensed wildlife rehabilitators or referrals.